netstat is a command line utility to view the statistics of network connection to/from the machines. With netstat, you can see network connections, routing tables, interface statistics, masquerade connections, and multicast memberships. Are you wondering? 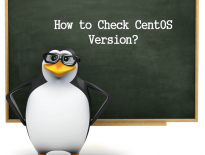 netstat command not found after the installation CentOS 7 / RHEL 7. This small guide will help you to install the necessary packages for getting netstat command. Let us see which package provides us netstat command. From the above command, you can see that net-tools package provides you netstat command. So, install the net-tools package using the yum command. Once the installation is complete, run netstat to see whether it is available or not. That’s All. You now have netstat command available on your CentOS 7 machine.